Display your fresh meat in a beautiful butcher display case. Your customers can view your selection of meats or produce easily, and you will be able to make more sales due to visibility. 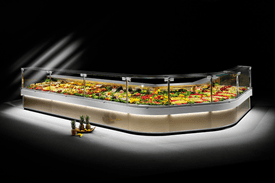 Our cases can be used in restaurants, markets, bakeries, delis and much more.